What’s important to you? Your neighborhood? Region? The nation? The globe? If it’s a nonprofit, does the IRS recognize the organization as tax exempt? Ask to see a letter of determination. If it’s faith-based, ask to see its official listing in a directory for its denomination. Avoid charities that won’t share information with you or try to pressure you. Reputable nonprofits will discuss their programs and finances. They should be willing to send you literature about their work or direct you to a website. And they will take no for an answer. Trust your instincts—don’t contribute if you have doubts. Bunch donations every few years to surmount the higher standard deduction. You will itemize every other year, claiming the standard deduction in years you don’t donate. Consider so-called donor-advised funds—this will enable you to bunch smaller gifts into one large amount and take a deduction in the year you’re gifting. 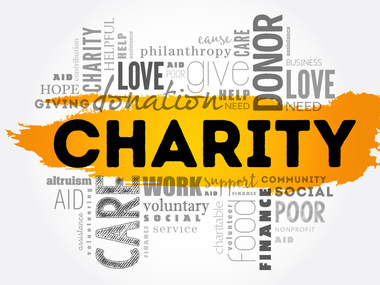 You can designate charities as recipients later. The assets can be invested and grow tax-free, but the accounts have fees. If you’re 70 1/2 or older, you can benefit from contributing up to $100,000 of IRA assets directly to one or more charities. There’s a lot to think about to make sure you get the most bang for your charity bucks. There are rating sites that show how much a given charity spends on overhead and point out any red flags suggesting possible mismanagement, but that doesn’t say how much a charity accomplishes with the donation you give. Your legacy, now and after you’re gone, is important. So, when it comes to charity, choose wisely.